By incorporating these exercises 1-2 times a week, any woman, will be well on her way in tightening and toning her back muscles. These three exercises, all target the following muscles the make up the back and give your back its form and fashion. 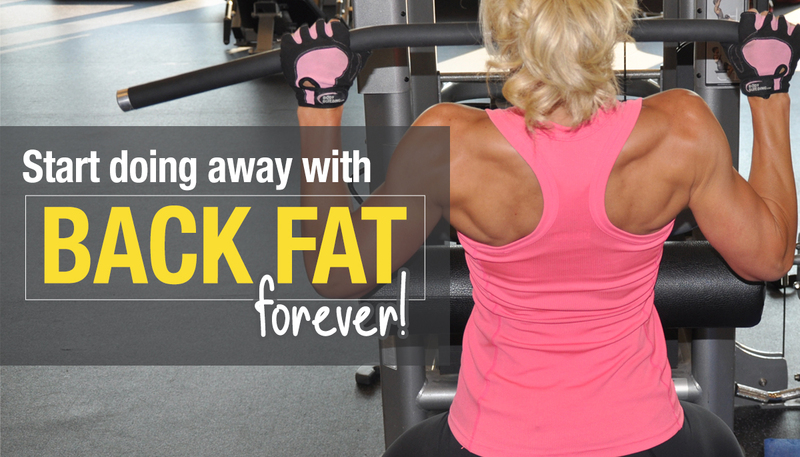 By consistently working these muscles, it will help you to decrease and eliminate the dreaded fat back rolls. Muscles worked: Latissimus Dorsi, rhomboids, trapezius, rear deltoids, erectors, and biceps. Perform these 1-2 times per week. Make sure you take 3 days in between before repeating this same workout. 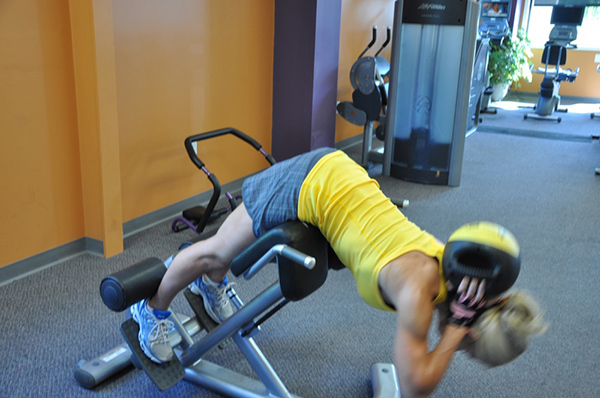 Stance: Adjust a pulldown machine so that your thighs fit snugly underneath the support pad. Take a medium overhand grip on the pulldown bar and sit up tall, leaning back a few degrees from vertical and lifting your chest. Direction: Pull the bar toward your chest by directing your elbows to the floor and inward toward your waist, contracting your shoulder blades behind you as if pinching a pencil between them. When the bar nearly touches your clavicle, squeeze hard, then slowly reverse the move, coming back to the starting position without locking your elbows. Stance: Stand with your feet hip-width apart, knees slightly bent. Hold a barbell with a wider than shoulderwidth overhand grip, bending forward with a straight back until your torso is 45 degrees to the floor and your arms are hanging straight down from your shoulders, elbows unlocked. Direction: While exhaling, pull the barbell toward your rib cage by driving your elbows back and up, to where your triceps are almost coming above your back. Squeeze through your back muscles by driving your elbows back and up. Reverse the motion by lowering the barbell while inhaling. Stance: Lie face down on a hyperextension bench, tucking your ankles securely under the footpads. With your body straight, cross your arms in front of you or behind your head. This will be your starting position. Tip: You can also hold weight for extra resistance in front of you or behind your head. Slowly raise your torso back to the initial position as you inhale. Tip: Avoid the temptation to arch your back past a straight line. Also, do not swing the torso at any time in order to protect the back from injury, and last but not least; squeeze your glutes hard at the top of the movement.